Based on the Series from Dark Horse Comics, Hellboy gets its third big screen adaptation in Neil Marshall’s upcoming reimagination. 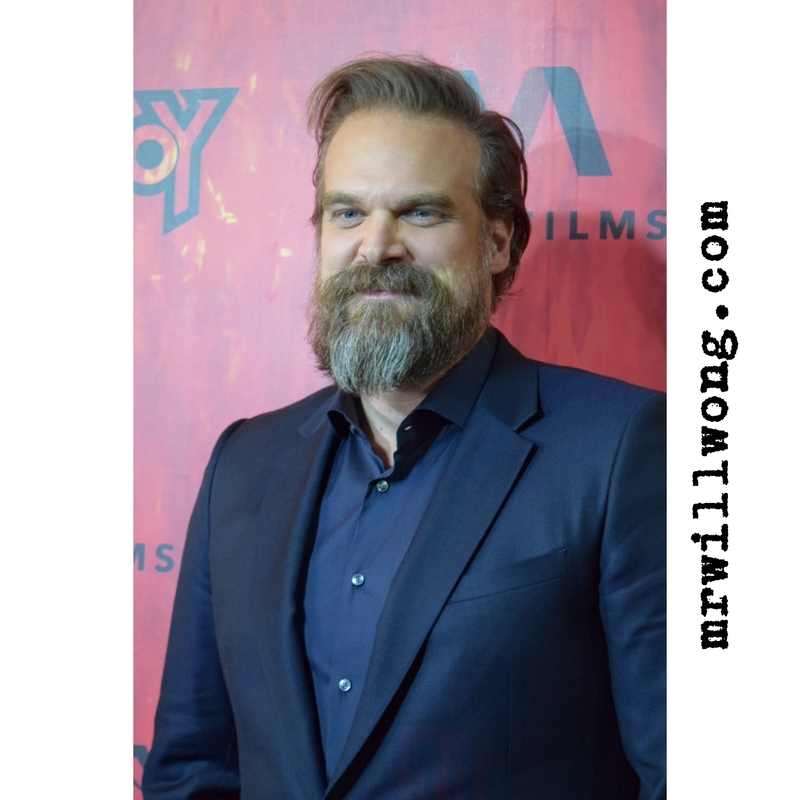 The bloodfest of a film sees Hellboy (David Harbour) and his allies up against scorned Sorceress, Blood Queen (Milla Jovovich), who could destroy the world as Hellboy finds himself amidst a battle between humans and the supernatural. 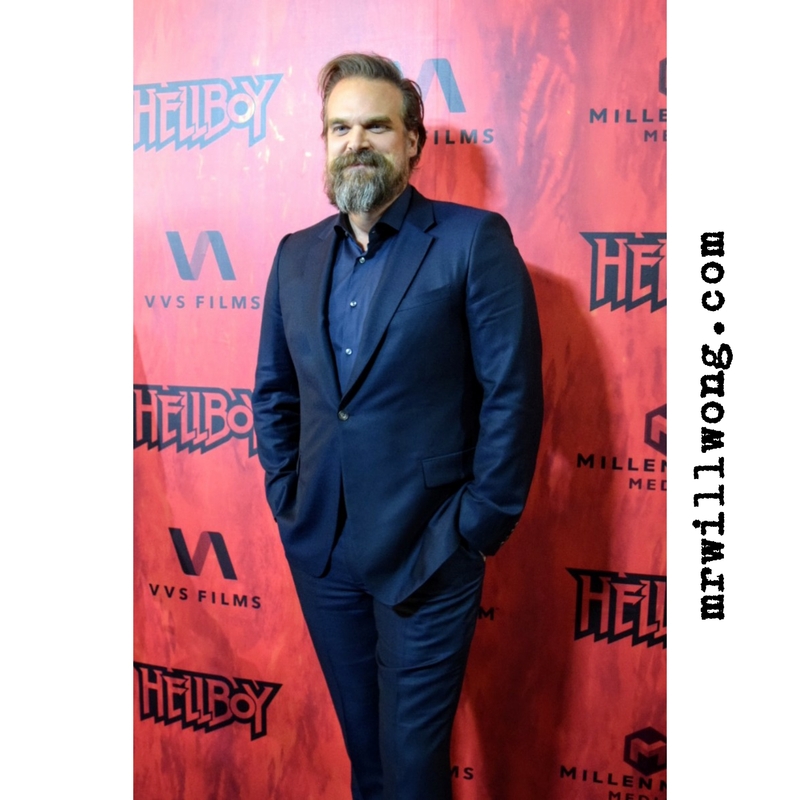 The stars of Hellboy delivered a helluva thrill for Toronto tonight at its Canadian Premiere with David Harbour (Stranger Things) and Milla Jovovich, the latter returning to the City where several of the star-making Resident Evil films were made. The event was one of hottest tickets in town this year in Toronto with fans filling the fan pit and media lined at capacity on the Red Carpet. 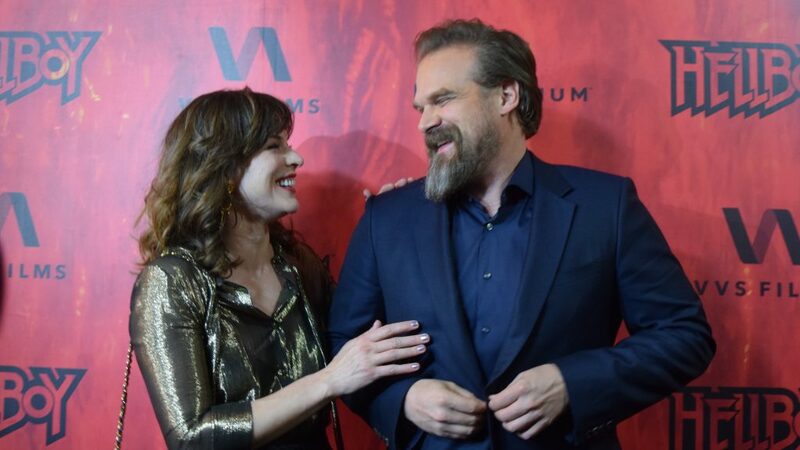 Fans are excited for this retelling and are ready to be wowed by what critics already are praising as phenomenal performances from both Harbour and Jovovich. 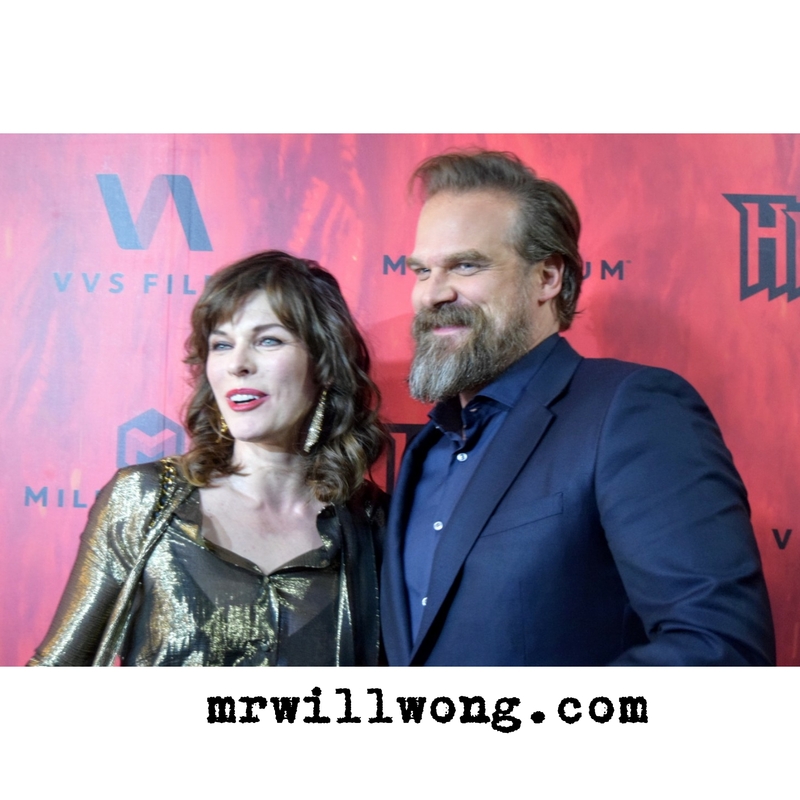 Our Team had the pleasure of chatting with Harbour and Jovovich on the Red Carpet at Scotiabank Theatre, which happened to align with the former’s birthday. Fans greeted him with Happy Birthday after arriving fashionably-late to the venue and once again he was serenaded in the theatre with a rendition led by Jovovich. An adorable Maltese named Cheeky in Jovovich‘s entourage too was there to support her under the care of a handler. The evening was followed by a Q&A with Cineplex‘s Tanner Zipchen and there even was a Hellboy cake! Our Amanda Gilmore asks Jovovich whether she approached her role of Blood Queen as a hero or a villain. Jovovich: “For me, she was just an amazing woman. So yes in my head she is a hero. She has very big, modern ideas about bringing the monster and human worlds together and powerful men around her just put her down in a very gruesome way. I felt that was very relevant to what’s going-on in the world today. We have more and more women in power and we have more and more men trying to bring them down. I think a lot of girls are not going to look at her as a villain, but they are going to look at the Blood Queen as someone they can relate to and someone they can look-up to in a way. We are seeing a shift in more female action heroes and you are responsible for paving the way in your work on Resident Evil films which were made in our hometown. How does that make you feel? Jovovich: “So many of the Resident Evil movies were made in Toronto. I feel like literally Raccoon City is Toronto!”. “When I grew-up there literally was Sigourney Weaver and that was pretty much it. I always wondered growing-up whether there were other women that represent me. I felt that I was a strong woman and I was raised by a father who wanted a boy. I felt it bizarre that there weren’t more women doing this so I’m ecstatic that there’s so many women in Action movies today, because they’re taking leaps forward for us within the Media and the Media has a trickle effect on society.” . 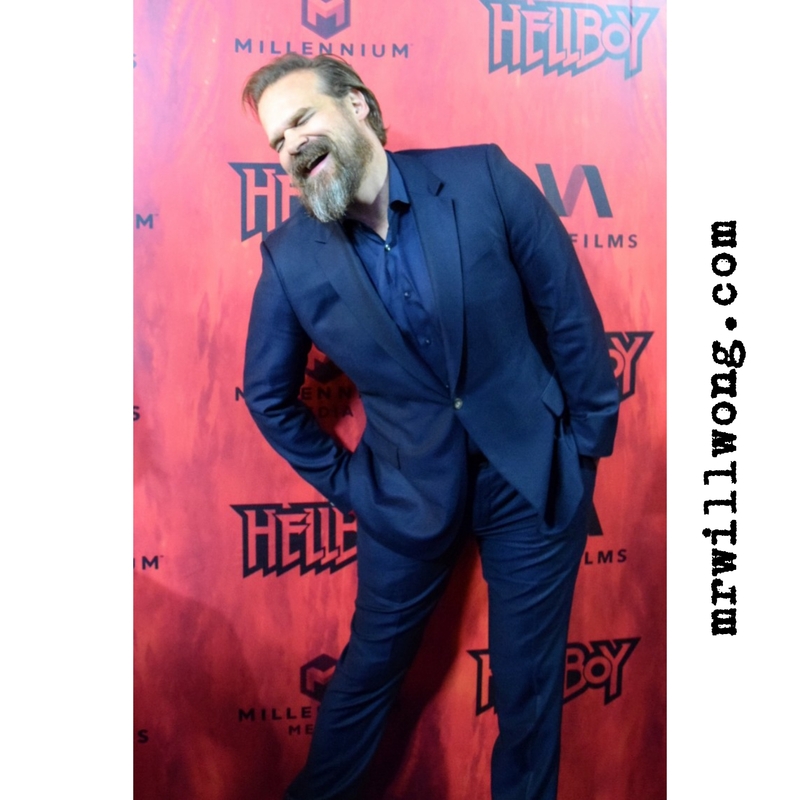 Our David Baldwin asked Harbour what it was like becoming Hellboy. Harbour: “It was extremely challenging and extremely satisfying. I’ve loved those Comics for years and years and I wanted to play a brutal, tortured Hellboy. It was extremely challenging and that’s what we did.” . How challenging was it to wear all the prosthetics, the makeup and all the green-screening? Harbour: “Acting – it’s kinda hard. You want to work hard and just do it. And then you put someone’s face in latex and that becomes exponentially harder with the weight of the makeup on and the movement in a different body. It was just extremely-challenging, requiring a different skill-set and I understand the whole thing in a deeper way now.”. What can we expect from Stranger Things 3? Harbour: “You’re gonna love it. It’s like the Summer of Love season!” . 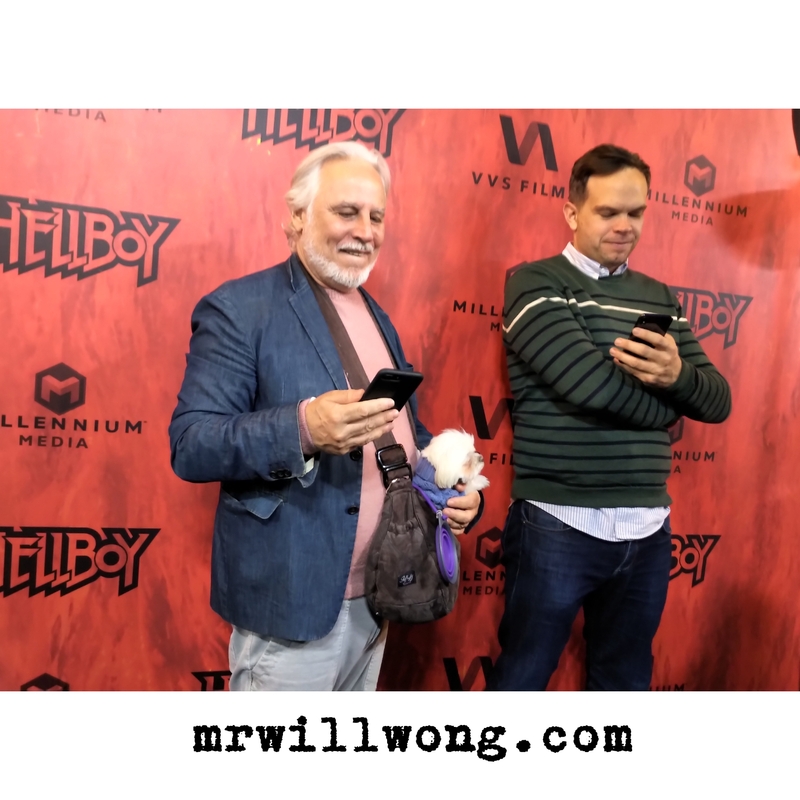 VVS Films release HELLBOY Friday, April 12, 2019.